Is Callum Hudson-Odoi the youngest player ever to start for England? 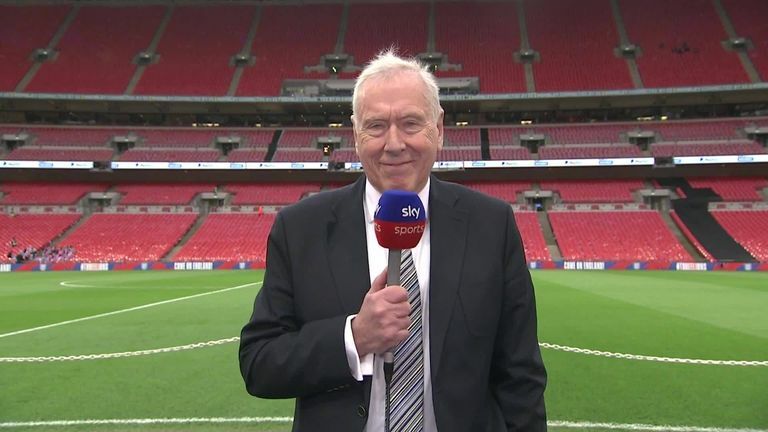 Who was the last Englishman to score a hat-trick at Wembley prior to Raheem Sterling's effort on Friday? And when did England last win five matches in a row? England are now unbeaten in their last 41 qualifying matches for Euros and World Cups, winning 32 and drawing nine of those games. In that period, it is now 22 away competitive matches without defeat, winning 15 and drawing seven times, since losing in Ukraine in October 2009. It was also Gareth Southgate's fifth win in a row, the first time England have won five straight games under him, while they have also won all four matches played on a Monday under his management - Slovakia, Tunisia, Spain and now Montenegro - equalling a four out of four success rate on a Sunday. It is the first time since October and November 1984 that England have scored five or more goals in successive games - on that occasion they were 5-0 and 8-0 victories at home to Finland and away to Turkey respectively. Meanwhile, Raheem Sterling has now scored six goals in his last four England games, after two in his first 45 caps, while it was Ross Barkley's first England goal since he scored against Lithuania in October 2015, doubling his tally to four goals for his country. Harry Kane is now up to equal 16th in the all-time England scorers list, level with former Tottenham striker Peter Crouch and Tommy Lawton on 22 goals for his country. And the Spurs forward is now just one behind Stan Mortensen and two off Geoff Hurst. And Kane has also scored in his last three games for England, impressive form that he takes with him to Anfield for Tottenham's Super Sunday clash with Liverpool. And finally, England have now scored 59 goals in 33 games under Southgate - with Michael Keane and Barkley both scoring for the first time under him - including 21 different scorers and one own goal. MARTIN SAYS: It was a fantastic achievement and occasion for Callum Hudson-Odoi, who started for England for the first time in Montenegro, three days on from making his senior debut as a substitute against the Czech Republic. The Chelsea forward was 18 years and 138 days old when he started in Podgorica, but that is not a record. That said record belongs to England's all-time leading goalscorer Wayne Rooney, who was 17 years and 160 days old when he started against Turkey in a Euro 2004 qualifier at the Stadium of Light in April 2003. Five other players were younger than Hudson-Odoi when they made their first England start, but only two have occurred in living memory. Raheem Sterling was 17 years and 342 days old when he started in a friendly against Sweden in 2012, while Michael Owen was 18 years and 59 days old when he made his England bow against Chile in 1998. The three other players to have better Hudson-Odoi's record - James Prinsep (1879), Thurston Rostron (1881) and Clement Mitchell (1880) - all did so in the 19th century. However, Hudson-Odoi is now the second-youngest player to start a competitive match for England after Rooney. MARTIN SAYS: Five England defenders have been capped more than Jordan Henderson without scoring a goal - Ashley Cole (107 caps), Gary Neville (85 caps), World Cup winner Ray Wilson (63 caps) and Phil Neville and Des Walker (59 caps). However, barring defenders, Liverpool captain Henderson's tally of 50 caps is the longest an England outfield player has gone without netting. Next on the list are former Leeds, Blackburn and Newcastle midfielder David Batty and one-time Man Utd midfielder Owen Hargreaves, who were both unable to score in 42 appearances for England. Henderson has, though, scored an international goal, but it was an own goal in England's 3-1 win against Slovenia on November 15, 2014. 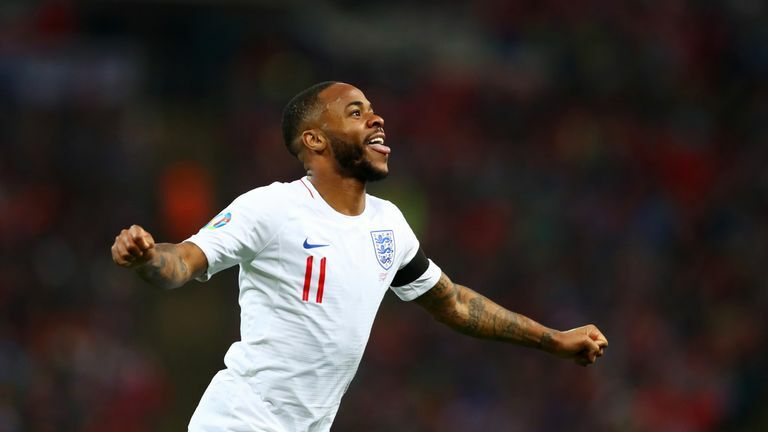 MARTIN SAYS: Raheem Sterling's hat-trick against the Czech Republic on Friday was the 19th scored by an England player at Wembley. The Manchester City forward was the 16th England international to achieve the feat at the home of football - Jimmy Greaves, Geoff Hurst and Gary Lineker have done so on two occasions. Jermain Defoe was, in fact, the last player to score an England hat-trick at Wembley. His treble helped seal a 4-0 victory over Bulgaria in September 2010 in qualifying for Euro 2012. Sterling's England hat-trick was only the second at Wembley this century. You have to go back 11 years from Defoe's exploits to the Euro 2000 qualification campaign for trebles from Alan Shearer, in a 6-0 victory over Luxembourg, and Paul Scholes, in a 3-1 win over Poland. Thirteen days earlier in his last Premier League game, Sterling also scored three times for Man City against Watford, making it back-to-back hat-tricks in Premier League and competitive England internationals. MARTIN SAYS: Victory in Podgorica sealed a five-game winning streak for England for the first time since 2015. Roy Hodgson guided England to victories over Slovenia, San Marino, Switzerland, Estonia and Lithuania between June and October, before a 2-0 friendly defeat in Spain brought that run to an end. England's longest-ever winning run came way back at the start of the previous century when they won 10 in a row between June 1908 and June 1909. If England win this summer's Nations League in Portugal and the Euro 2020 qualifiers which follow, they can surpass that record away in Bulgaria in October. When was the last time England played consecutive matches without a Manchester United player featuring? (Jake, Manchester). MARTIN SAYS: The England party which travelled to Montenegro did not feature a single representative from Manchester United. It was a similar story for Friday night's clash with the Czech Republic at Wembley, though injuries to Marcus Rashford, Jesse Lingard and Luke Shaw have forced Gareth Southgate's hand. It's the first time in 27 years that England have gone two games with a United player taking to the field. United midfielder Neil Webb started a 2-0 friendly victory over France at Wembley in February 1992, before sitting out consecutive 2-2 draws with Czechoslovakia and CIS in the following March and April. He was then brought back into the fold in May for a friendly in Hungary, which was just as well as he played a role in the own goal which handed England victory. Meanwhile, it was the first time since November 1990 - against Poland and the Republic of Ireland - that no United player had featured in two consecutive competitive England internationals, although the visitors' opening goal on Monday was of course scored by a former United player in Keane. Incidentally, the scorers in those two games in question were Peter Beardsley, who briefly played for United, and David Platt, who began his youth-team career at Old Trafford, although he never played for United's first team.